Dr. Pourati is a Board Certified Periodontist. He specializes in improving gingival esthetics (gumline) implant placement and the treatment of gum diseases. 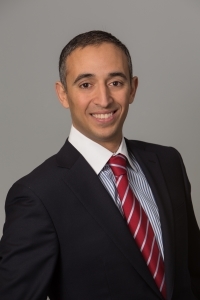 Dr. Pourati graduated from Boston University Goldman School of Dental Medicine in 2004 with a CAGS (Certificate of Advanced Graduate Study) in Periodontology and a Masters Degree in Science and Dentistry. 2004: Boston Medical Center, Dental Fellowship, Geriatric Department. 2001: Tufts School of Dental Medicine, D.M.D. 1997: Boston University, Bachelor of Science degree with a major in Biology and minor in history. Dr. Pourati takes pride in his ability to put his patients at ease, with the utmost comfort, with his excellent clinical expertise.